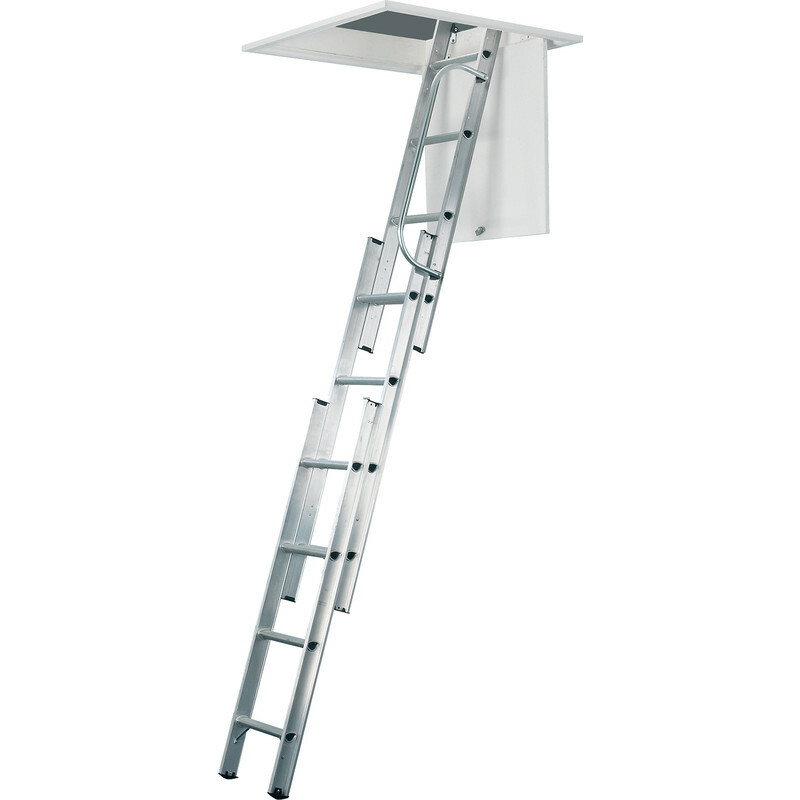 Aluminium loft ladder with universal stowing pole, compatible with most loft hatches. Certified to BS EN 14975 150kg (23.6 stone). Licence No.24097. Werner Aluminium Loft Ladder 3 Section is rated 4.5 out of 5 by 93. Rated 5 out of 5 by peter09 from Excellent Value. I bought this last week for the garage loft space, easy to fit, works well and for the price is well made. The pack comes with everything needed to do the job. 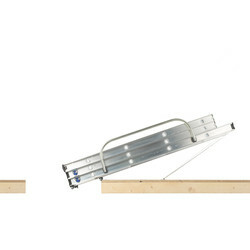 Rated 5 out of 5 by Peter347 from Quality lightweight loft ladder Shopped around a lot for a quality ladder. Lots of poor reviews on “own” brands. So spent the extra to buy a trusted brand. Rated 1 out of 5 by Mossy989 from Not as good as it could be. Bought this to replace an older aluminium loft ladder but not as good as the old one or as strong. Will bend if you forget to engage ALL catches, old one was drop and go. Needless to say keeping the old one. Rated 5 out of 5 by Chris K from Great ladder Solidly built ladder with added bonus of having a handrail. Easy to fit just took 1 hour to install. Easy to follow instructions. 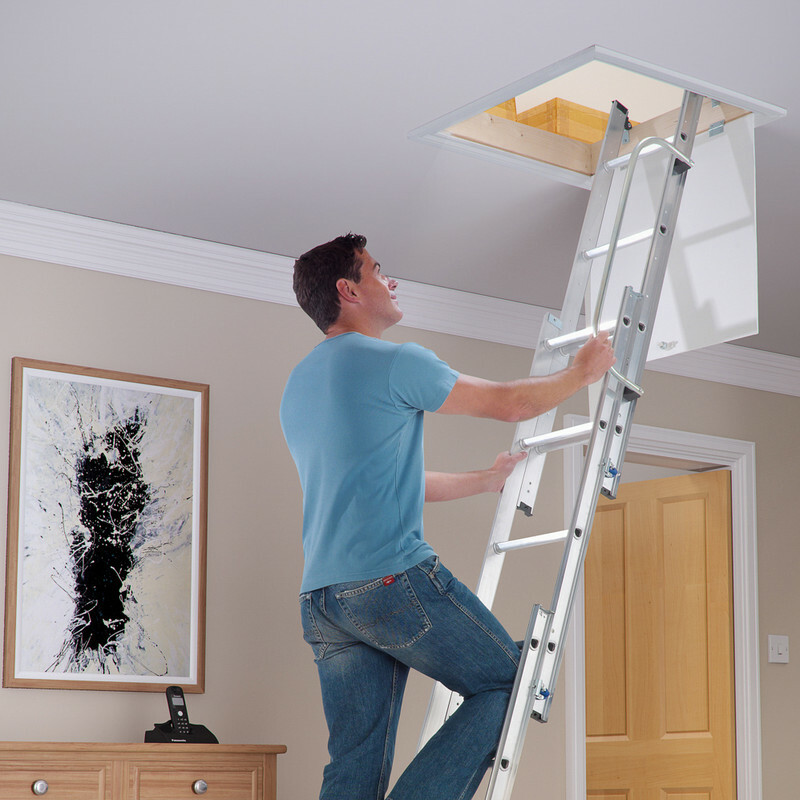 Rated 5 out of 5 by paul61 from Great ladder Good lightweight and strong loft ladder, easy to install...even for an amateur like me, no more bringing ladders in from outside just to get into the loft, great!.